This Emily Dickinson poem was set to music by composer Ernst Bacon. 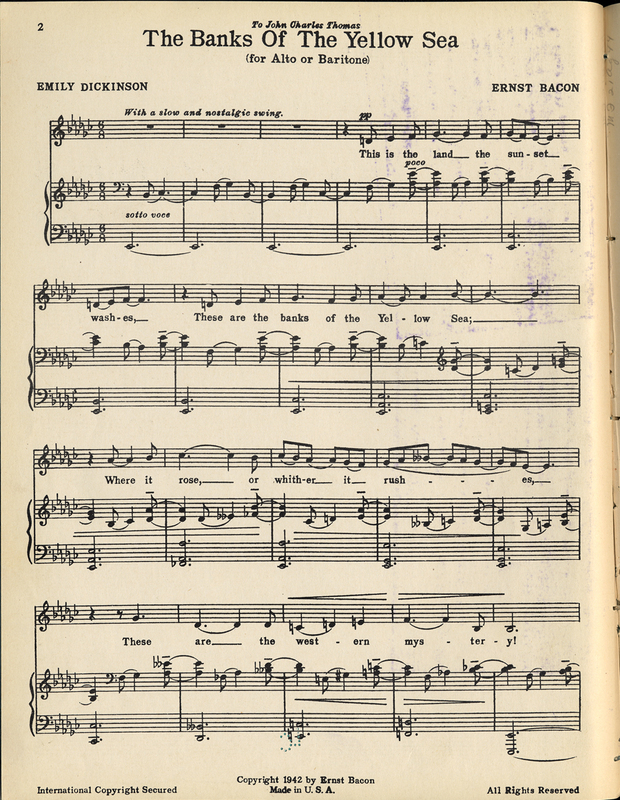 Take a closer look at this sheet music and read the lyrics. What feeling does this poem give you? What specific word choices influence how you feel? What kind of music do you think would go with these words (happy, upbeat, sad, mournful, lively, slow, etc.)? Even if you can’t read music, what clues to the music do you get about how Bacon wanted the song to sound from the sheet music? Now listen to a song recording of “The Banks of the Yellow Sea”. Was the song as you expected or not? How so? What feedback about this song do you have for the composer? 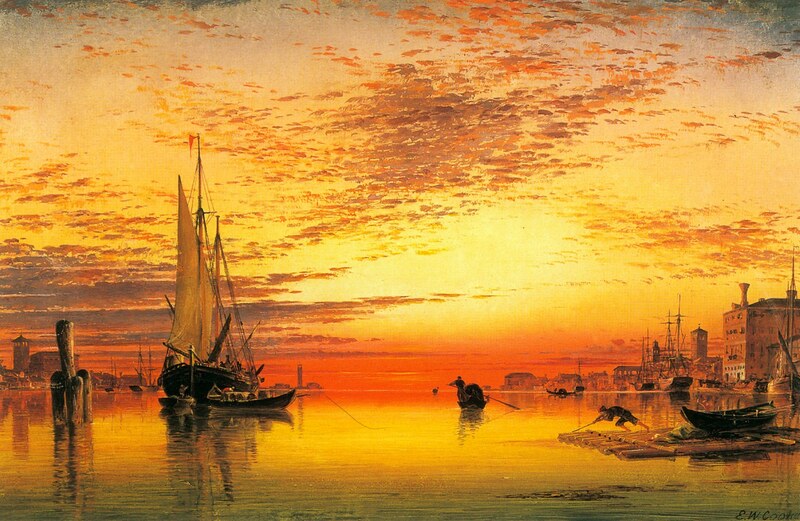 Take a close look at this digital wallpaper made from an Edward William Cooke painting. Do you think it relates to the lyrics or the melody of the song? Why or why not? Learn about the Yellow Sea. How does what you learned influence your understanding of the poem and the song?